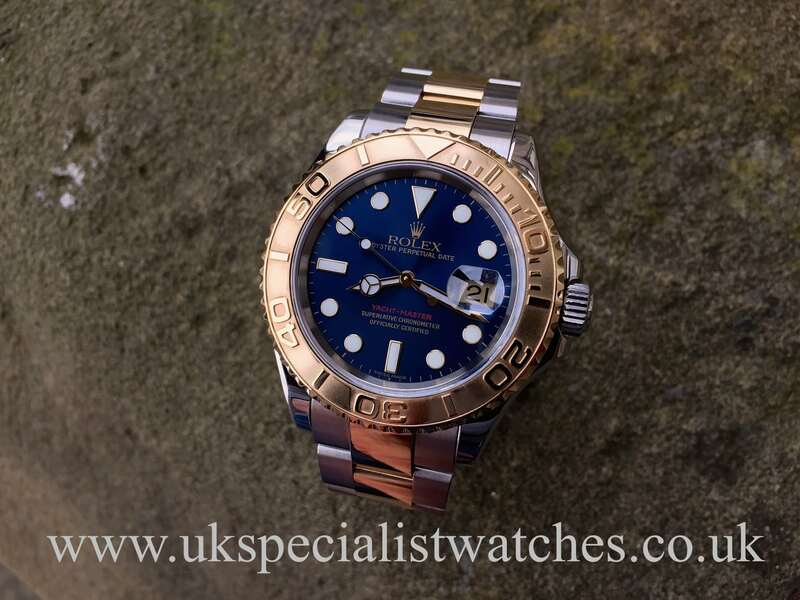 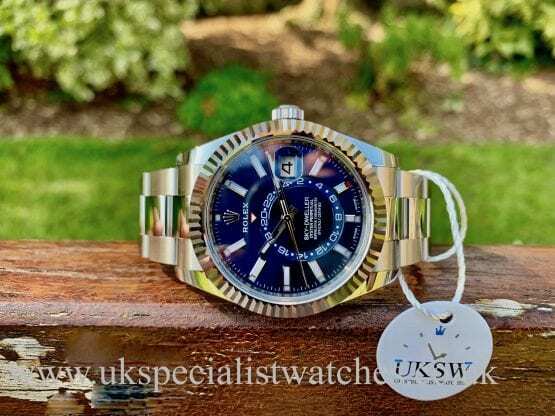 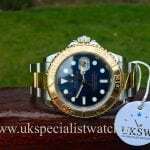 Rolex Yacht-Master Bi-Metal 16623 with the more favoured blue dial. 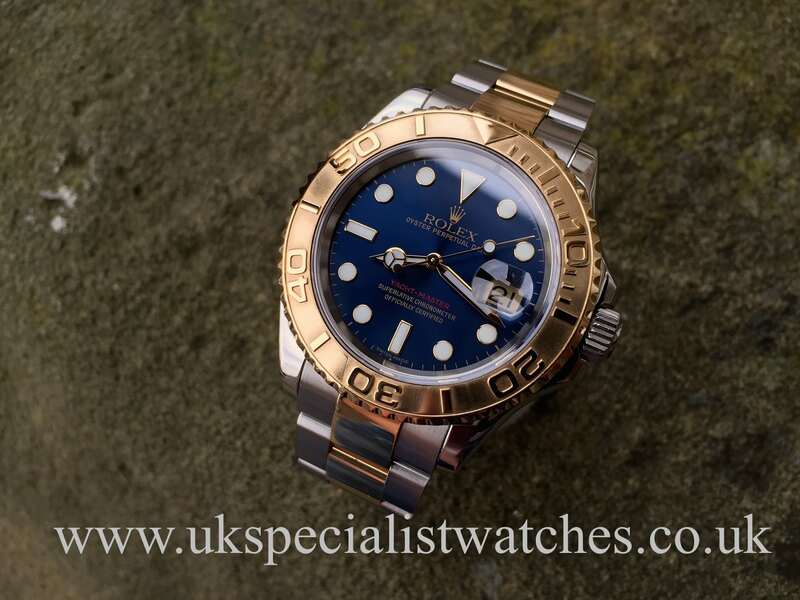 This model was designed to be a more classier version of the traditional diver’s watch. 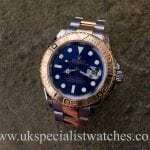 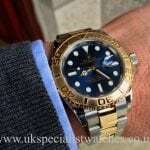 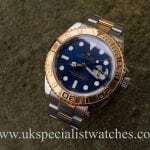 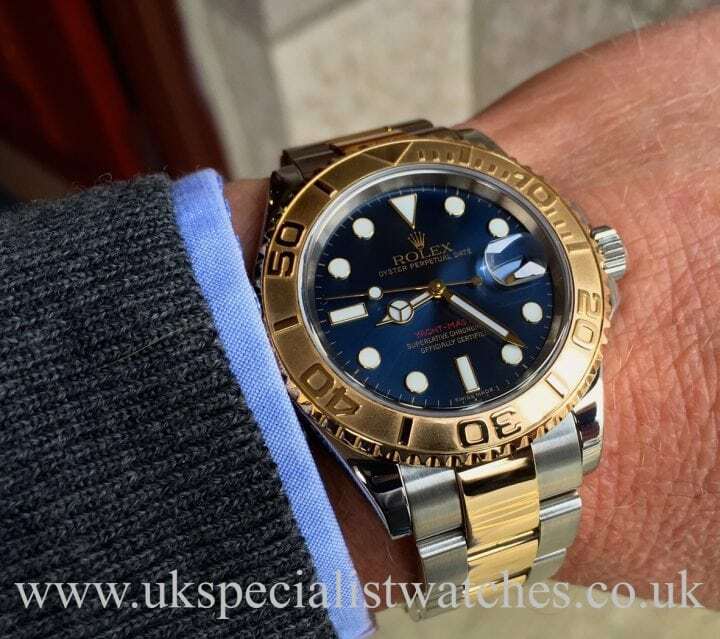 This highly polished 40mm smooth case, vivid blue dial, 18ct gold Bezel. 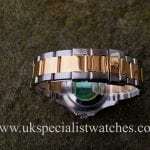 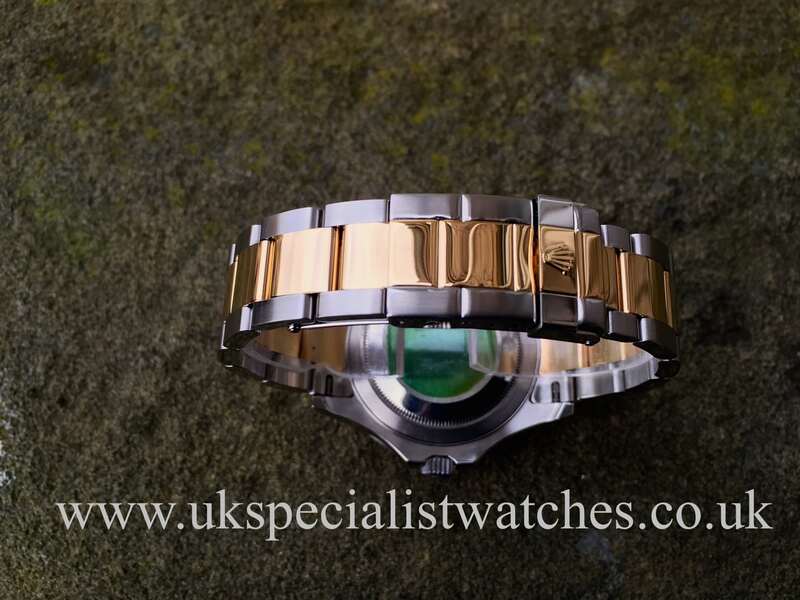 Fitted to a stainless steel Oyster bracelet with polished 18ct gold centre links. 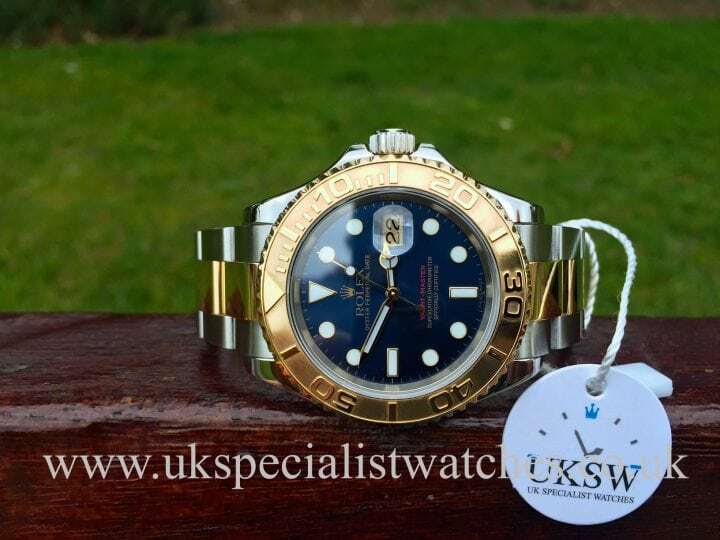 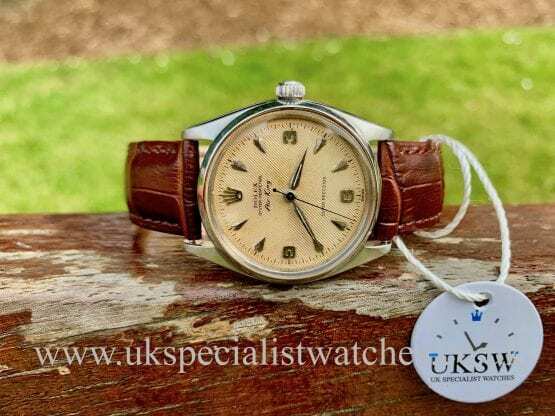 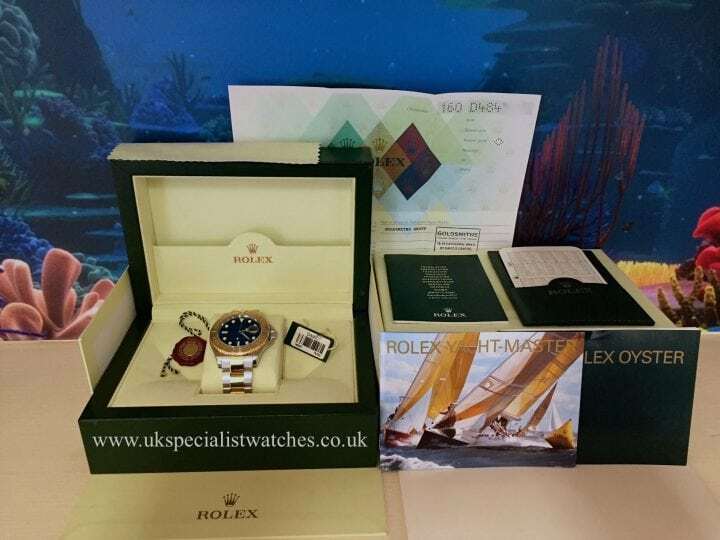 Our 1 owner, immaculate example was UK supplied in October 2006 and comes complete with all boxes papers, wallets and both swing tags.